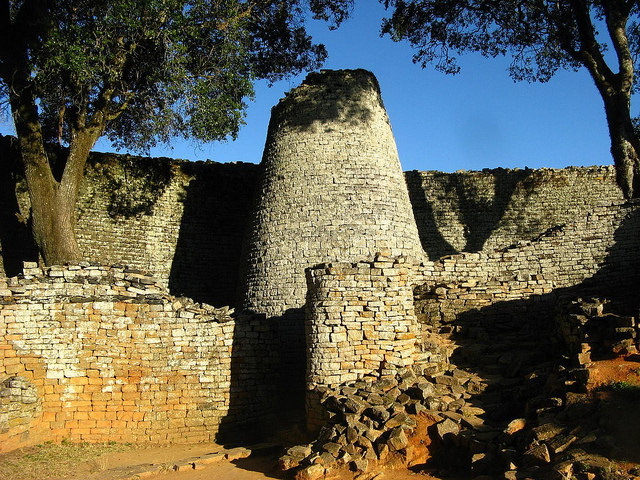 Out of all these, the ruins of Great Zimbabwe are the largest. The granite walls - embellished with turrets, towers, platforms and elegantly sculpted stairways - seem to have had no defensive function. But, in the words of archeologist Peter Garlake, they display "an architecture that is unparalleled elsewhere in Africa or beyond." Atop a granite outcropping, walls merge with enormous boulders to form the fortified Acropolis. 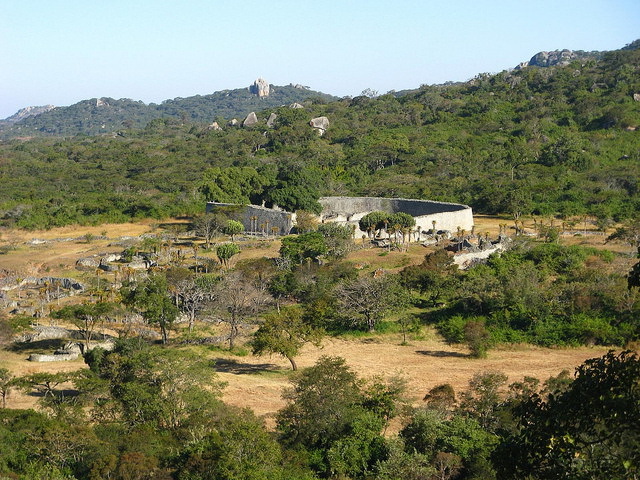 In the valley below sits the Great Enclosure with almost a million granite blocks in its outer walls. A second wall, a meter inside the enclosure, forms a long, forbidding passage. At some points the walls are 11 meters high and extend for over 800 meters. The soapstone birds are one of Zimbabwe’s symbols. They are eight birds carved in soapstone that were found in the ruins of Great Zimbabwe. These eight sculptures combine both human and bird elements. For instance, the bird’s beak is substituted by lips while its claws are changed to feet.